Happy December, everyone! It hardly seems possible that Christmas is just 19 days away! 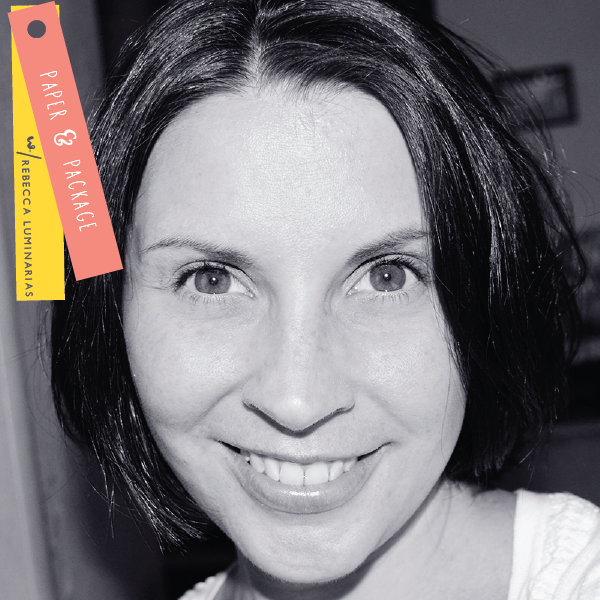 Are you going mad with a crazy-long list full of things you need to do and buy and make? Or did you start back in July like I should have done? 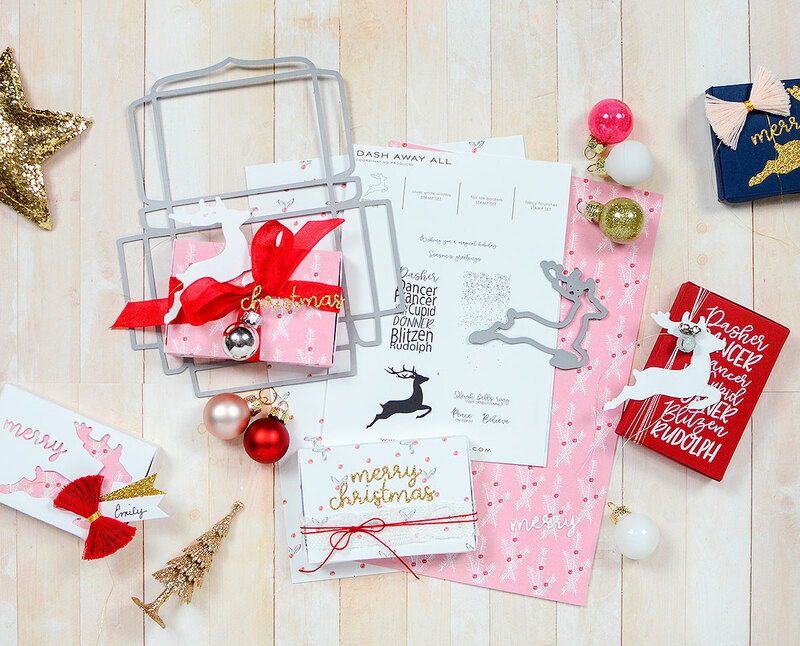 Well, whether you have a list a mile long or you’re neatly prepared for December 25th–and if that’s the case, please come to my house and help me prepare!–I’ve got quick and easy, but no less lovely and handmade, gift card holders for you. 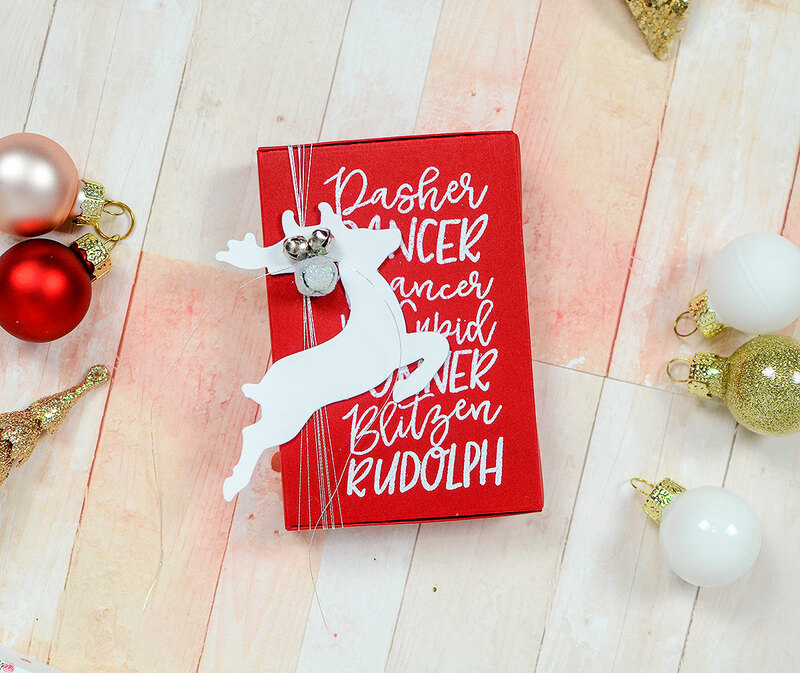 I think Lizzie and I were on the same page, as she shared some really cute stitched gift card holders yesterday, and used the Dash Away All reindeer die, which I also used on my gift card boxes. 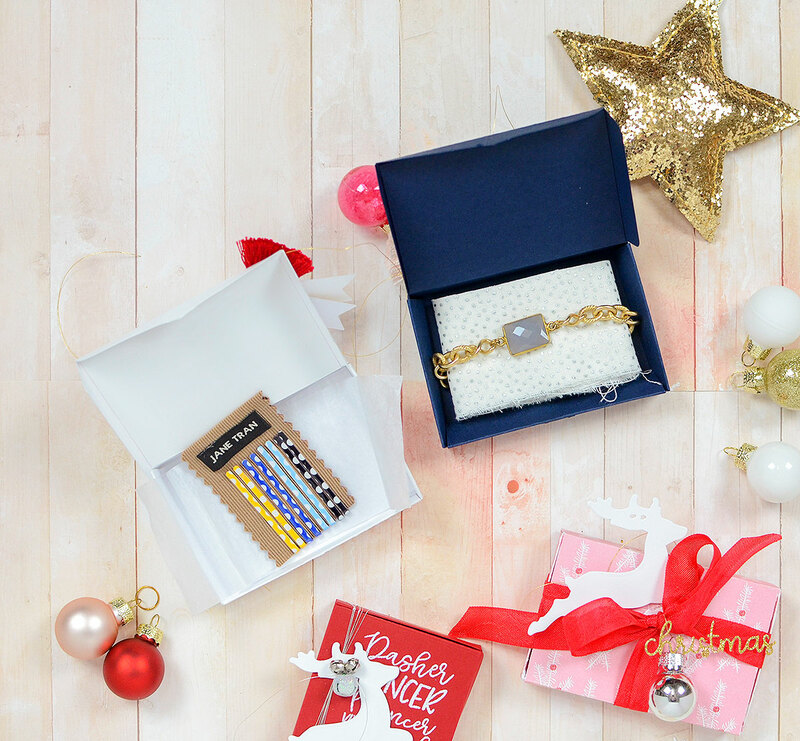 I’m also featuring Lizzie’s Hinged Gift Card Box die, which is so easy to assemble and has endless possibilities for decorating it. 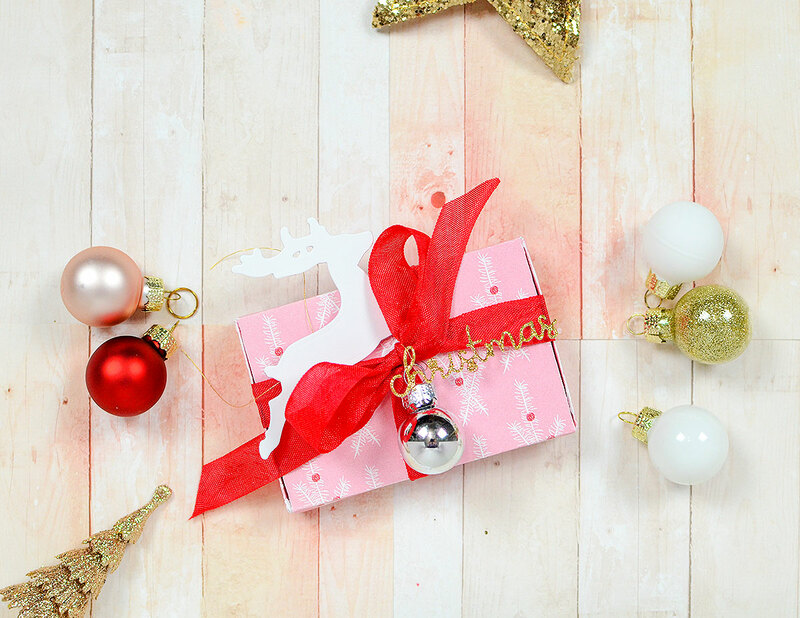 You can effortlessly churn out a bunch of these boxes in a sitting, so if you still have a lot of gifting to do, you might consider going this route. I wanted to show a few examples, since we all have different tastes. 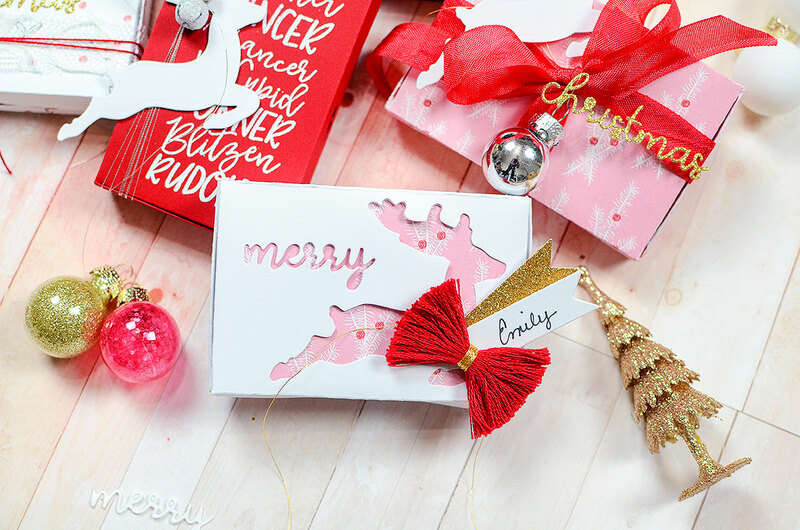 I’ve used solid color cardstock, patterned paper, heat embossing, die cutting…you’re certain to find a box style you can work with, even if you choose a different theme, colors, or stamp and die sets. Once I came up with each idea, not one of these boxes was time consuming to put together, and, when it comes to this time of year, that is more important than ever! 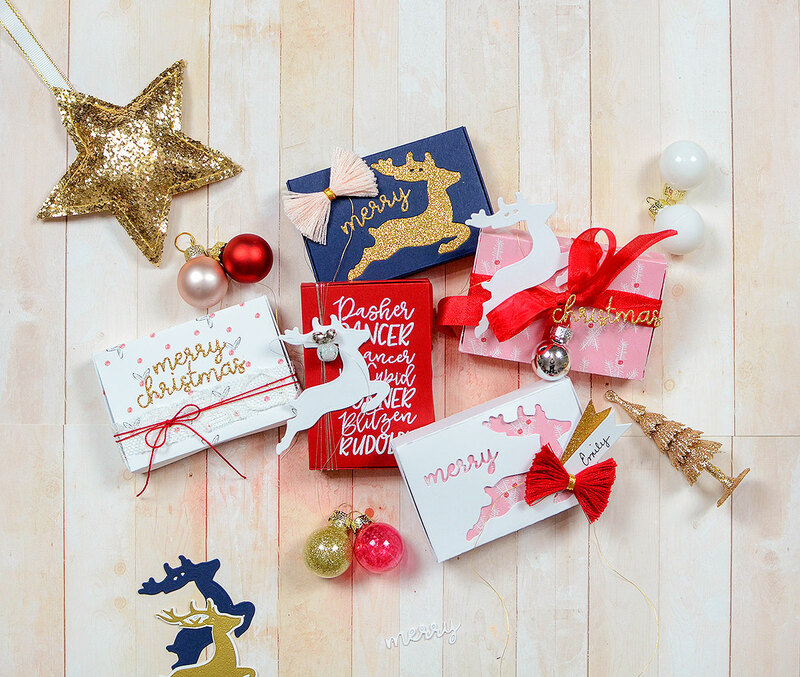 The first boxes I made are cut from patterned paper, specifically the paper that comes in the Good Tidings packaging kit I released last year. While the kit is currently sold out, you can still find the paper at a steal for just $5! 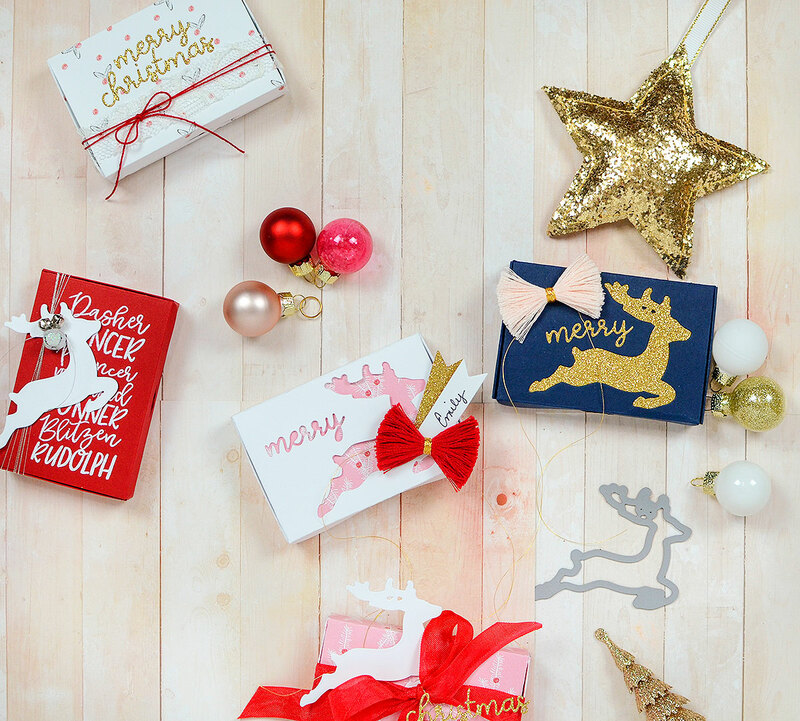 It’s perfectly sized for the gift card box die at 6″ x 8″ so you don’t have to cut the paper down before sliding it through your die cutting machine. I chose the Sweet Blush paper with the white pine branches on it and the white paper with the little red berries and black leaves. 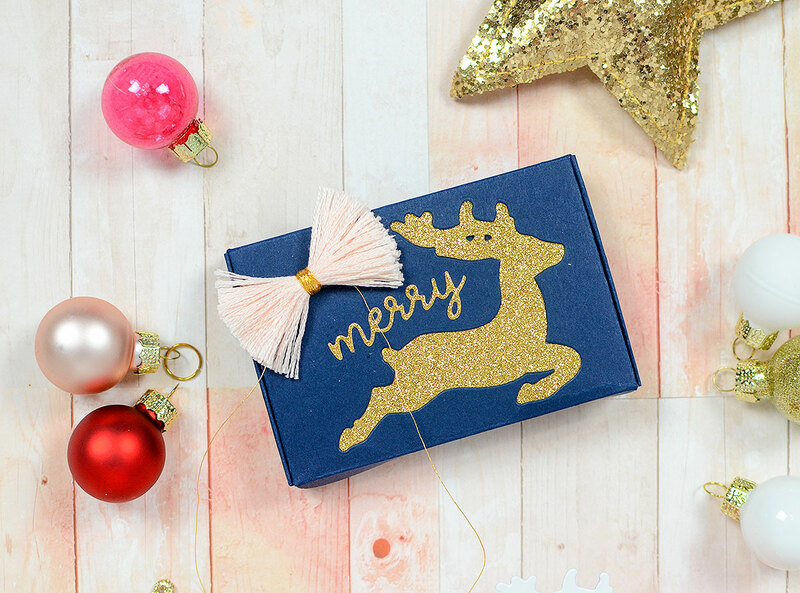 I tied the pink box with red seam binding and added just 3 ornamental details: a die cut reindeer, a small silver bauble, and a glittery gold ‘Christmas’ die cut (that die is Ways to Say: Merry Christmas, by the way). 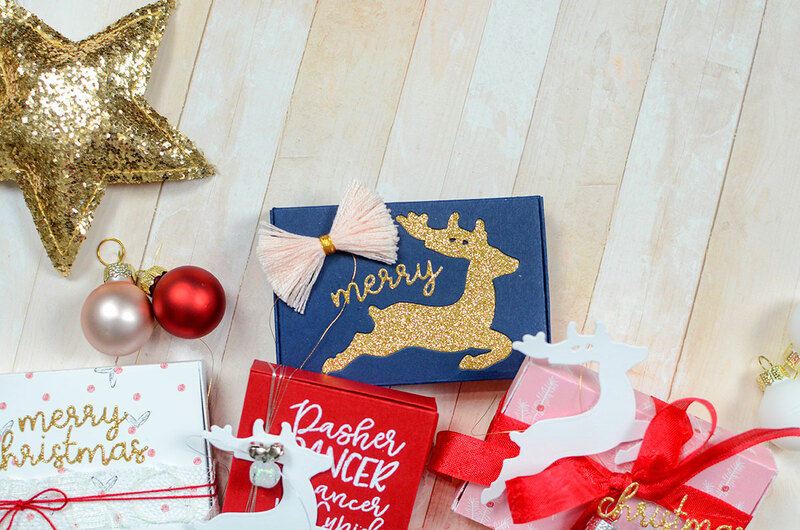 The bulb and the Christmas sentiment are tied to the ribbon bow with gold thread. The reindeer is attached with small glue dots; when I’m ready to give this away, I’ll use it as a tag and write my recipient’s name across the body. If you’d like, you can even stamp a small ‘To:’ on it. I love to use die cuts like this in place of a traditional tag. It’s unexpected and fun! The other patterned paper box was just as simple. I cut another ‘Merry Christmas’ out of glitter paper and adhered it to the box lid. Then I added a thin strip of lace and some red crochet thread for a bright color pop and a bow. Easy peasy! 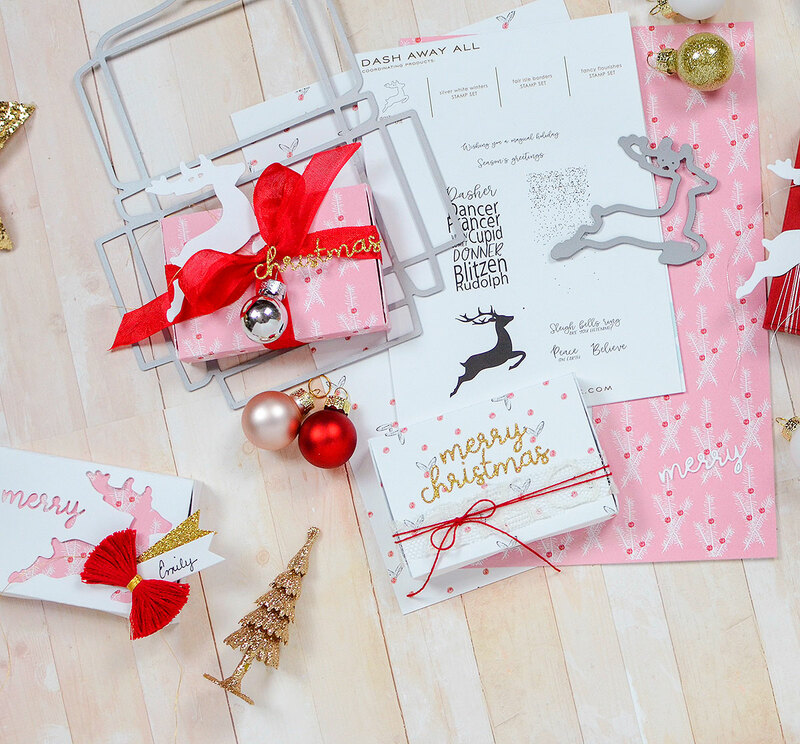 You can use any patterned paper you have on hand, of course; the images and multiple colors come with built-in designs to save you the time of adding your own, if time is a lacking commodity. However, it’s also fun to use colored card stock, and end up with finished results that are just as pretty. I made gift boxes out of Pure Poppy, Dark Indigo, and white stocks. 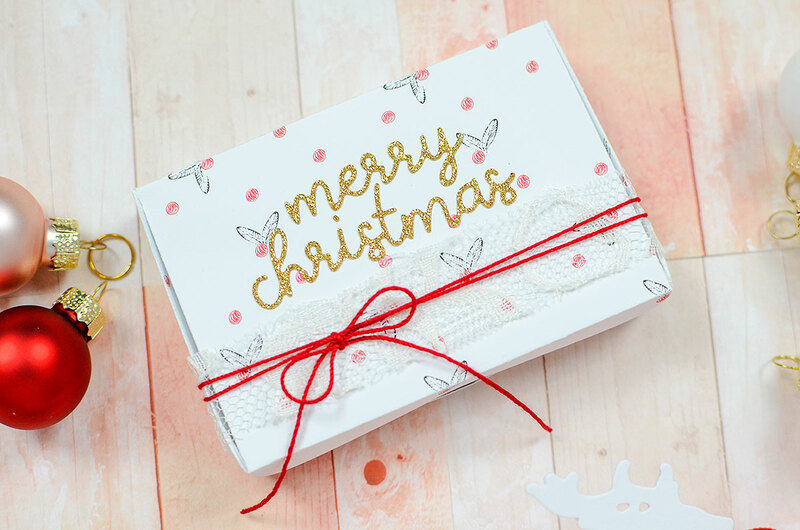 When it came to the red box, I loved the idea of using a stamp and white embossing powder to achieve that contrast between the dark and the light colors. Since I was using the Dash Away All reindeer die, I decided to use an image from the matching stamp set and chose the block of reindeer names. To do this, I turned the box vertically and the image is a perfect fit. Stamped with VersaMark Watermark ink, the placement for the stamp is closer to the right edge of the box. I chose to do this so I could add some kind of trim to the side, and didn’t want it to run through the image. 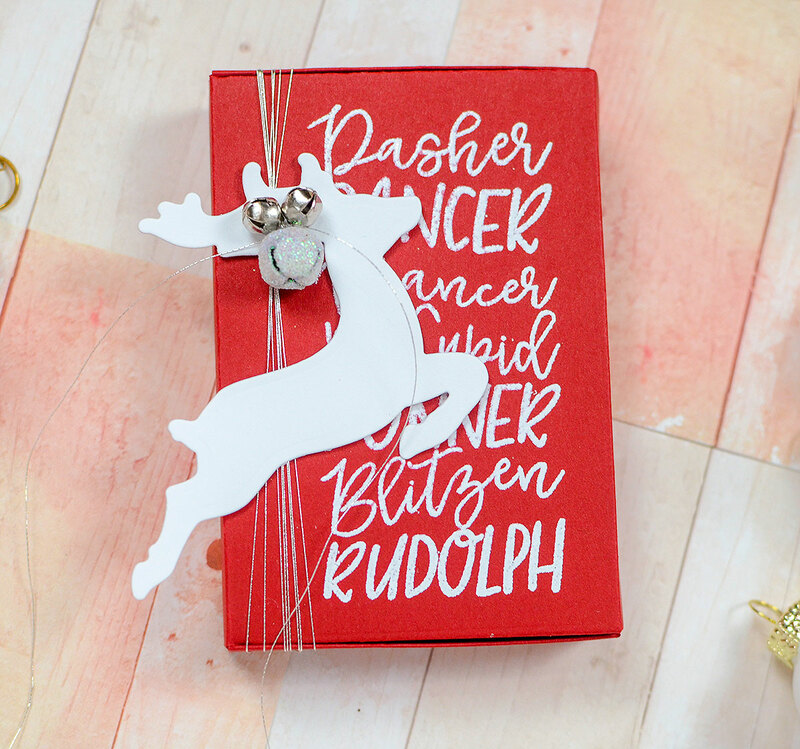 I also wanted to add a white reindeer die cut. This would cover small portions of the stamp, but enough of the message is visible to infer what it says. I wound silver metallic thread around the box several times and tied it off at the top. There are two tiny cut outs in the reindeer, where its antlers are, so I strung the strands of thread through them in order to attach it to the box. For a little extra fun (and because this will likely be for my 4-year-old nephew), I added some jingle bells, stringing them through the thread ends, as well. I tied the thread off with 3 or 4 knots for a secure hold, then fanned out the individual strands on the box. Just as with the other white deer, once I’m certain who this box is for, I’ll write the name on it. The last 2 boxes are very similar, but I made small changes to each one because I liked both of the ideas. The first one I made was the Dark Indigo box. Before assembling it, I cut the deer out of the lid, embedding a glittery gold deer in the empty space. I then adhered a glitter ‘merry’ die cut above the back of the deer, curving it just a bit to the deer’s form. 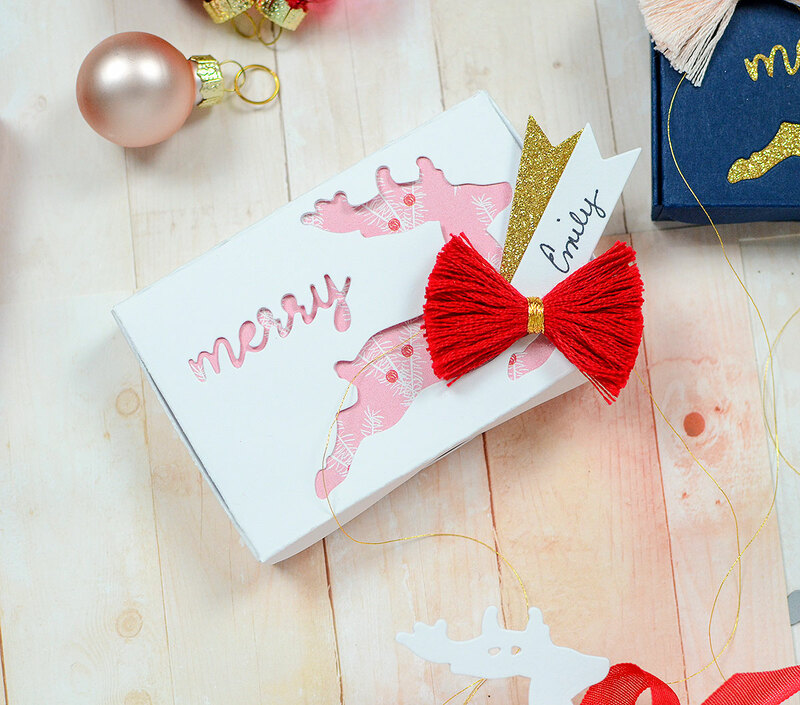 An embroidery floss bow in pale pink is the final touch, but you could also use a die cut bow instead–there are so many different variations from PTI to choose from! As for the white box, I cut the deer out of the lid again, but also cut out the ‘merry’ sentiment. Instead of filling the space with the same die cuts in another color or pattern, I simply adhered a small rectangle of patterned paper to the inside of the box lid. 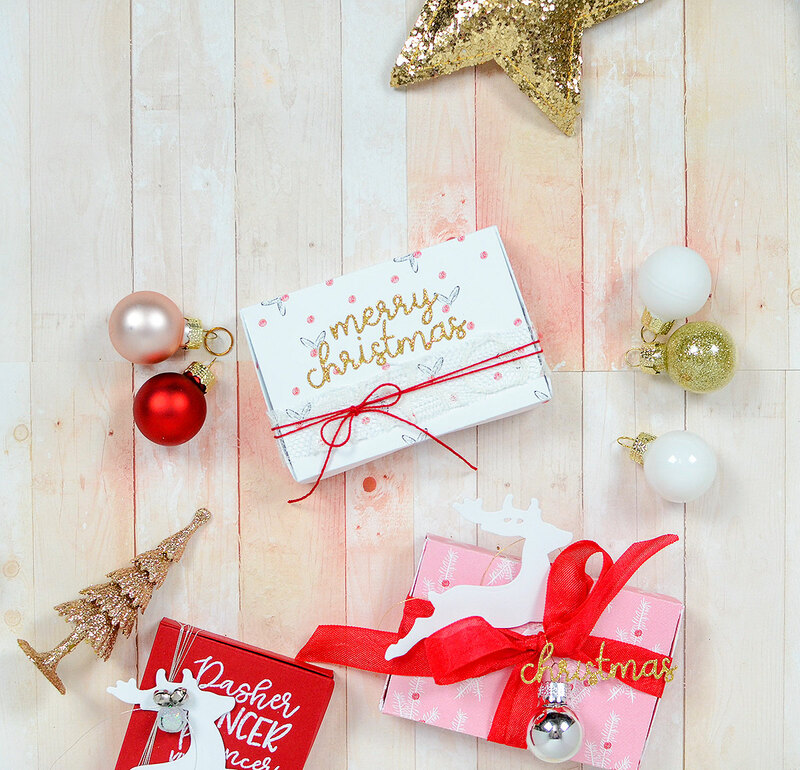 This just goes to show you can approach decorating these little boxes in a number of ways! Again, I’ve used an embroidery floss bow as an accent, and I have the added detail of a tag duo, made with the Bow Clips die. I cut off one end of the banner piece to shorten it, and layered one in white over one in gold. It’s ready for giving! One of the best things about the Hinged Gift Card Boxes is that they don’t have to be saved just for gift cards. I put jewelry in a couple of these, and it’s a nice size for other small trinkets (keychains, tea packets, chocolate…I bet you have some ideas, too). Well, that will do it for me today. 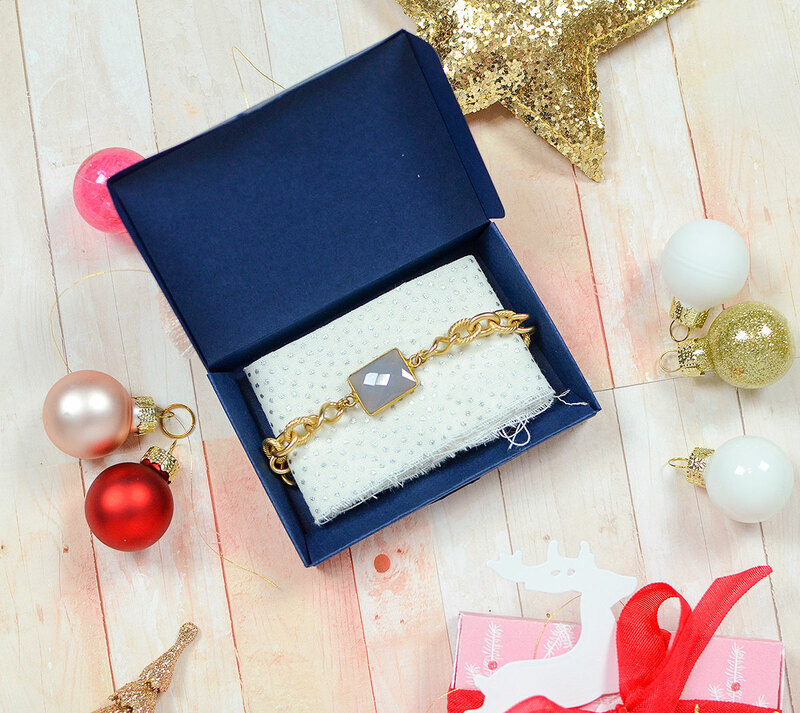 I hope you are not too stressed out this year; don’t let the gift wrapping get you down. When all else fails, don’t be afraid to put some cash in one of these boxes and call it good! But if you have a few extra minutes, take some inspiration from today’s post, or many of the other packaging posts you’ve seen on the Papertrey blog, whether it’s from me or one of the other designers. I, myself, have been so inspired by what I’ve seen these girls do in terms of packaging. Just have fun, remember the true meaning of the season, and don’t lose your Christmas spirit! I’ll see you here again in the new year! Very nice! Such pretty presentations! Cute, cute and cute! Fave is the red and white, but oh I do love a pink for the holiday! 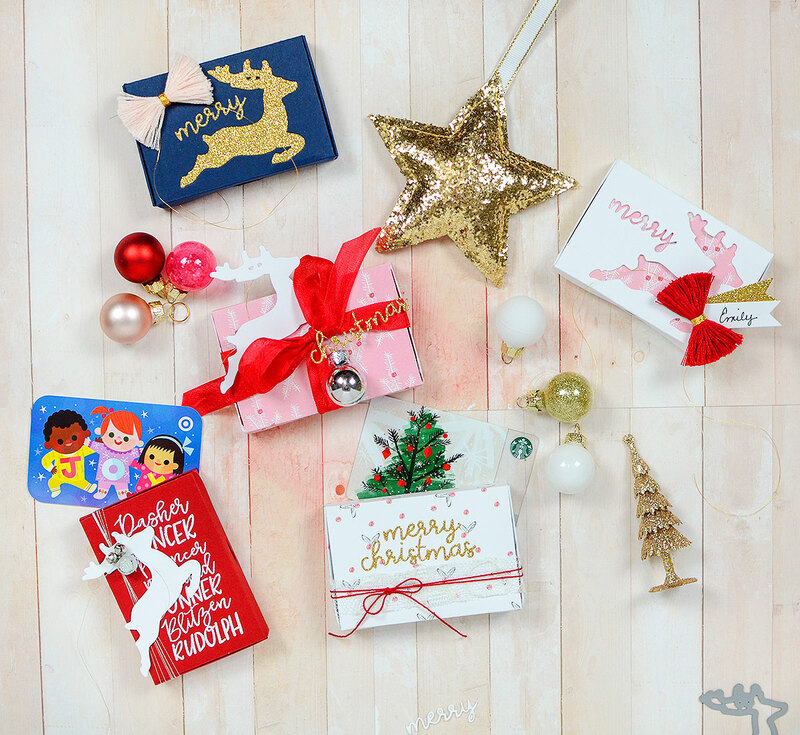 Thanks for sharing these great holiday box designs. 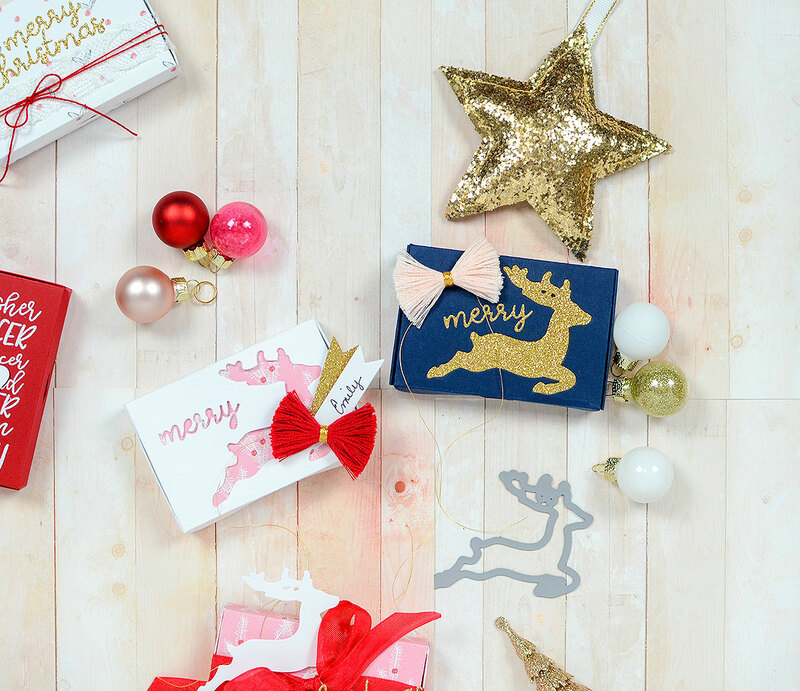 Gift boxes are never out of style. Thanks for the alert on the great paper deal, also. These are really so lovely! thanks for all of the different designs and ideas — I love the one with the patterned paper behind the die-cut lid! I just love your packaging posts! These are all so beautiful and fun, thanks for sharing!